I have been smoking marijuana for quite long; I only invested in vaporizing it this year. I could not really explain why it took me so long; I’m used to smoking marijuana that I didn’t really consider investing in a vaporizer. And now that I have, I’m never considering going back. To me cannabinoids make me feel good and happy. The benefits of vaporizing instead of smoking weed are well established, and while smoking weed is not nearly as harmful as expected, there are several reasons why persons who smoke occasionally should strongly consider making a switch from smoking weed to vaporizing it. As an individual try consuming a small gram of cannabinoids and have a pleasant life to live. You smoke probably for a reason or maybe for fun, the health benefits of vaporizing marijuana rather than smoking it are ultimately hard to ignore. Using a vaporizer makes you feel great! Are you a self-proclaimed pothead? Or you only smoke occasionally, is your use of cannabis strictly for medicinal purpose? Or you just prefer a good chill of cannabinoids after work with a glass of red wine, you should be aware of the health benefits of vaporizing cannabis. The simple reasons available will probably make you consider doing a U-turn from smoking to vaporizing ASAP. Here are few health benefits of vaporizing weed instead of smoking it. Now you are about to have a sound idea of how smoking weed is less harmful to smoking cigarettes; however, smoking weed can be bad for you, because it exposes you to harmful toxins. When burning marijuana, it results in several known carcinogens and tar, which can lead to lung problem as well as chronic bronchitis. Vaporizing marijuana, however, inhibit the inhaling of these harmful chemicals. When you vaporize cannabis, 97% of the gas inhaled consists of cannabinoids; vaporizing cannabis guarantees 93% carcinogen-free. Conversely, smoking it gives fewer cannabinoids and exposes you to inhaling high percentage of carcinogens and tar. A study conducted at Foundation for Human Health on 50 frequent cannabis patients, who had all reported experiencing various respiratory symptoms prior to the study’s beginning, showed that vaporizing marijuana for 21 days resulted in a great improvement in their lung health, and it also sharply reduces the subjects’ respiratory complaints. We got you covered! Notwithstanding, vaporizing marijuana can prevents lungs damage and ideally undo the harm you have already caused by all those bong hits and pipes. 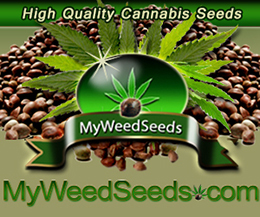 Do you need Marijuana seeds? Make an order now at FloatingIgloo.com, We sell at an affordable rate and best quality is our benchmark. 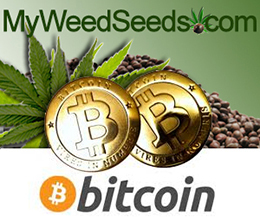 You have probably smoked marijuana in order to relieve you from an aches and pains. Personally, I have found that weed helps to better relieve stress when taking using a vaporizer, for women, it helps to reduce ovarian cyst pain, headaches, and general work. Evidently, vaporizing would work even faster than smoking. Cannabinoids are the agents that make weed such a great pain reliever, and vaporizing weed allows you to inhale more cannabinoids faster. Believe you me when I say “no vaporizer, no cannabis” because of the beauty and health benefits of cannabinoids inclined toward the usage of a vaporizer.